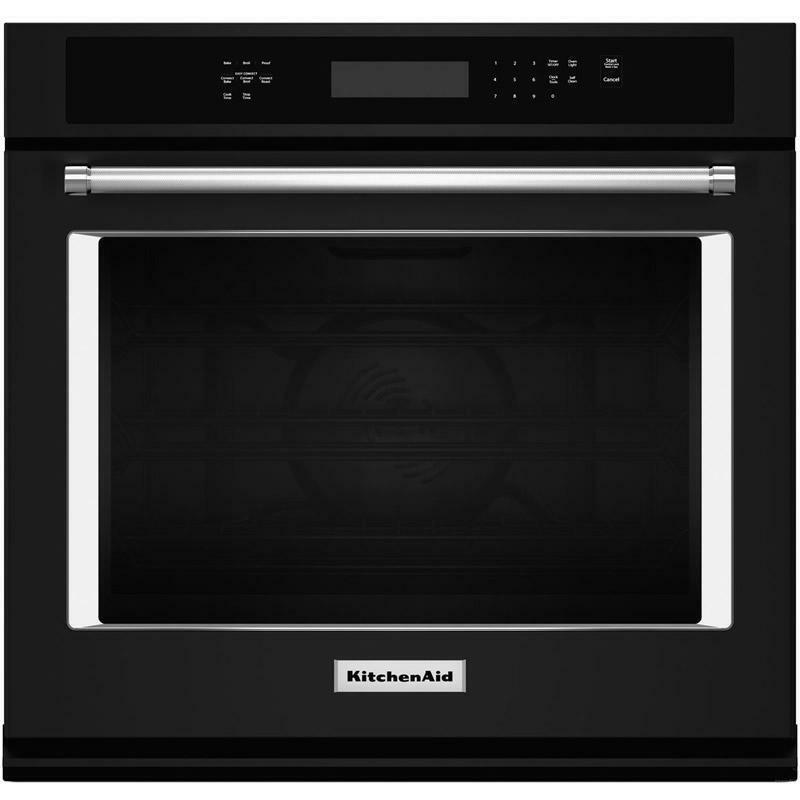 This 27" KitchenAid single wall oven with Even-Heat™ true convection provides consistent heating and even cooking. 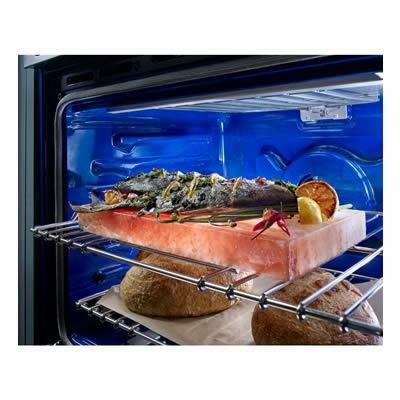 A unique bow-tie shaped design and convection fan helps ensure there’re no burnt edges or undercooked centers. 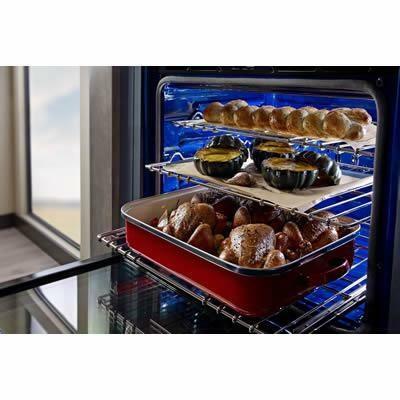 The temperature probe delivers accurate measurement of internal temperatures of meats, poultry, and casseroles without opening the oven door for perfectly cooked food. The oven’s bold design details are the perfect balance of elegance and functionality. Additional Dimensions • Cutout Depth : 24"
• Cutout Height : 28"